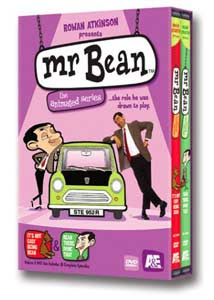 Mr.Bean the funniest Man on TV is now famous as the cartoon hero of his own animated series, the same face,voice and comedian effect... I really enjoyed watching this animated show, and willing to order the complete series. He is much funnier in the cartoon. Mr.Bean is so in love with his Teddy bear. Watch what happened to him on "Missing Teddy episod". Poor Mr.Bean! lol my son watches that..
and yes the best comedian ever. where can i get the episodes?